Hydro Flow® Bulk Head fittings are designed to create a water tight seal when transferring liquid from or to a storage container/reservoir. 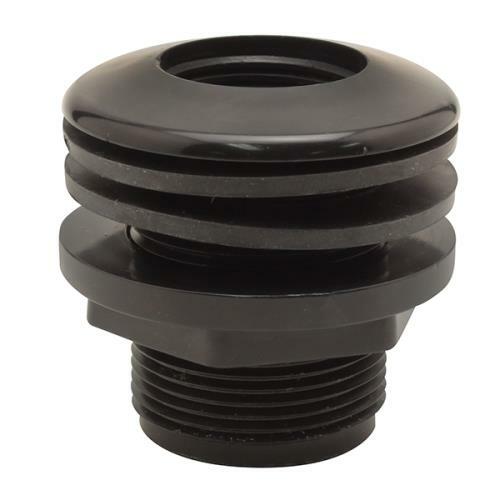 These fittings are made from durable ABS Plastic and come with double gaskets for a secure seal as well as double female threads to incorporate fittings or filters into the bulk head. Manufactured in the U.S.A.